A key to unlock the many doors into the realms of the past, present and future, taking you on an emotional journey of love, sorrow, passion, spiritual wisdom, knowledge and connection, allowing you to explore, awaken and expose the hidden depths into your heart, soul and spirit. As you embark on this journey, unlocking the doors, embracing your feelings and surrendering to your emotions, you begin to allow yourself to let go and be set free, awakening the senses and bringing the power and magick of poetry and the written word to life. 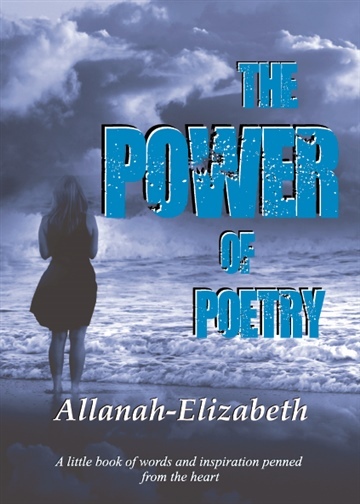 Allanah-Elizabeth, author of 'The Power of Poetry' and 'Reflections of the Heart', is a author, poetess, visionary, mystic, creative writer, healer and mother of four. Ever since she was a little girl, Allanah-Elizabeth has loved to write. Whether it be penning poetry, a short story, a fantasy novel, fiction, romance or song - she has always had a passion for the written word. Each of Allanah-Elizabeth's works are a collection of her visions, dreams, personal life experiences and conversations from her connection to spirit. Through the power of poetry and depth of the written word, Allanah-Elizabeth enjoys bringing the world of mystery and magick alive, capturing the hearts and imaginations of all those who journey with her, taking you through the realms of the past, present and future, to explore, awaken and ignite your inner spark. Allanah-Elizabeth lives in Queensland, Australia with her four children and 3 mischievous fur kids.